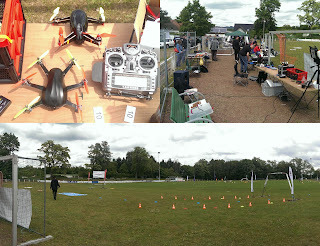 I am currently attending an airrace event in Bexbach. At the moment we're having some training flights. There are a lot of people that really know how to race! I crashed during every test flight, just because I am completely out of practice... Let's see how the races will be like! 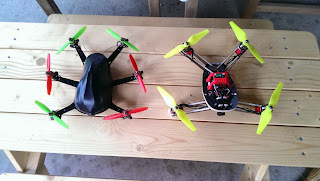 I had the chance to fly a few batteries in FPV mode, and it's really great fun. The top speed and throttle response is very good, the inertia in tight turns is also not too high although the copter weighs around 400g. 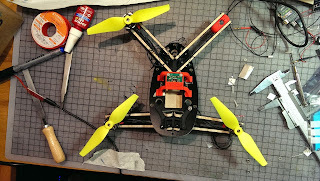 The coming evenings, I'll try to get as much practice as possible to prepare for the FPV Airrace in Germany.